We recently began a collaboration with Prof. Scott Wells at the University of Minnesota to test the effect of seeding date on cover crop emergence. Here are some photos taken today from the plots at the U of MN's field station in Rosemount. The seeding date was September 10th, so the photos are a month after seeding. 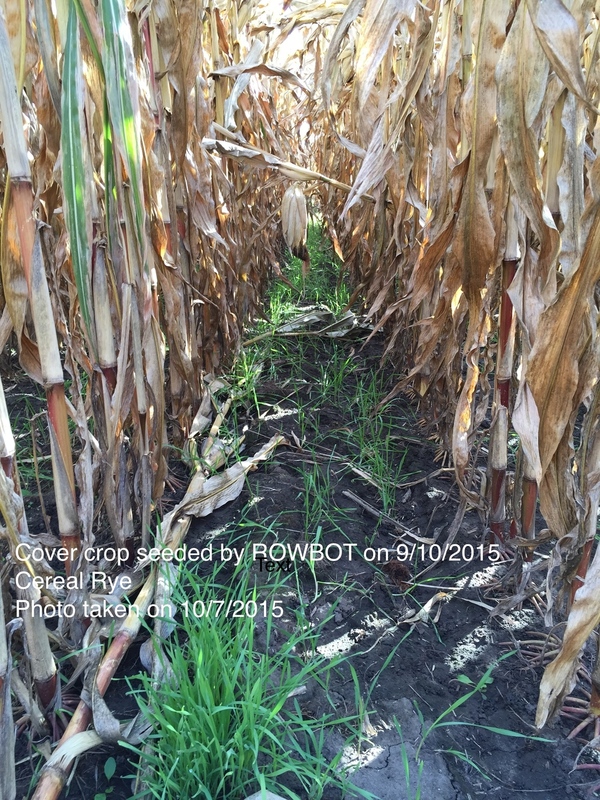 While we did have some helpful rains, our good emergence underscores the benefit of seeding down low via ROWBOT. 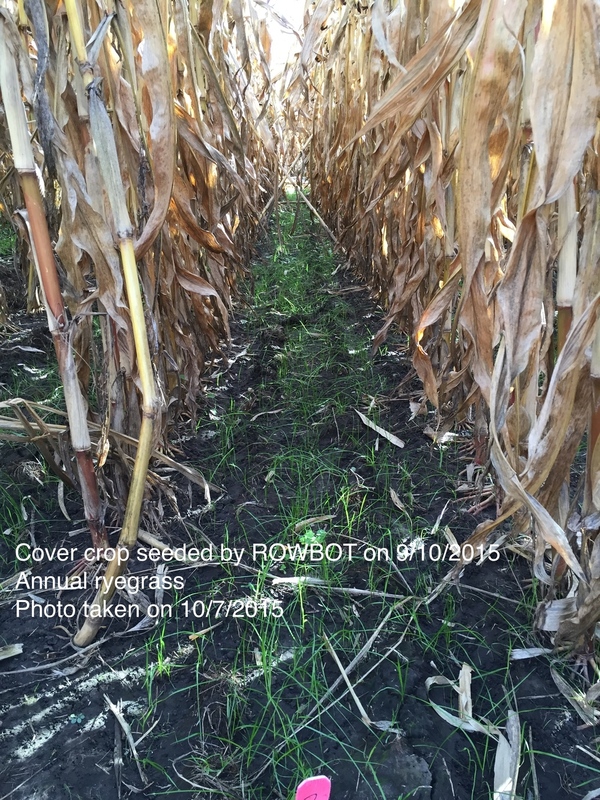 This is a preliminary trial that included cereal rye, annual ryegrass, and red clover. Our prototype robotic platform handled the plot environment very well, and we expect to conduct more plot trials next season.